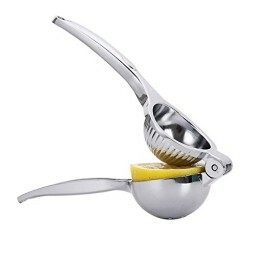 Say goodbye to uncomfortable, inefficient lemon squeezer. With VITAUS stainless steel, your problem will disappear! 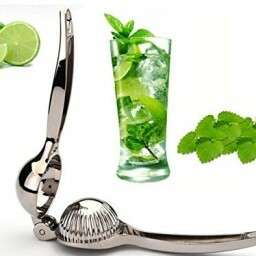 Say goodbye to uncomfortable, inefficient lemon squeezer with VITAUS stainless steel your problem will disappear! Tired of lemon juicers that are inconvenient or difficult to use? Tired of spending a lot of time and effort to get only a few drops of juice? 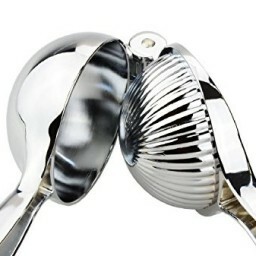 Lemon squeezer stainless steel VITAUS is right for you! This lemon squeezer is not only comfortable to use but also effective at squeezing all the citrus fruits (lemon, lime, orange, tangerine). This means that you will be able to get more juice with less fruit. Juicer for lemons VITAUS will save you time and money! • Professional Commercial grade made of highest quality stainless steel 18/10 - so it will never rot or rust. So why should you buy expensive and impractical for lemon juicer when you can buy stainless steel juicer lemon VITAUS at an incredibly low price? Just click on the add to cart page to order this amazing kitchen tool. 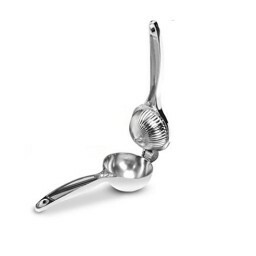 If, for some, the reason you do not like our lemon squeezer you can always take advantage of our 100% money back guarantee!